Exploring Scotland at any time of year is a fantastic adventure with each season showing a different side to the country. In Spring Scotland bursts into life with animals coming out of hibernation and plants put on a spectacular display of colour. With the improvement in weather conditions there are many more events and festival to enjoy, and many more people take to the great outdoors. Read on to find out more about what you can enjoy in Scotland during Spring. After a long dark winter, Scotland’s parks and forests burst into life, providing a spectacular backdrop that will excite the photographer in you. Carpets of blossoming wild flowers, woodlands alive with the sound of tweeting birds and public gardens and park that have elaborate and attractive flower bed displays. 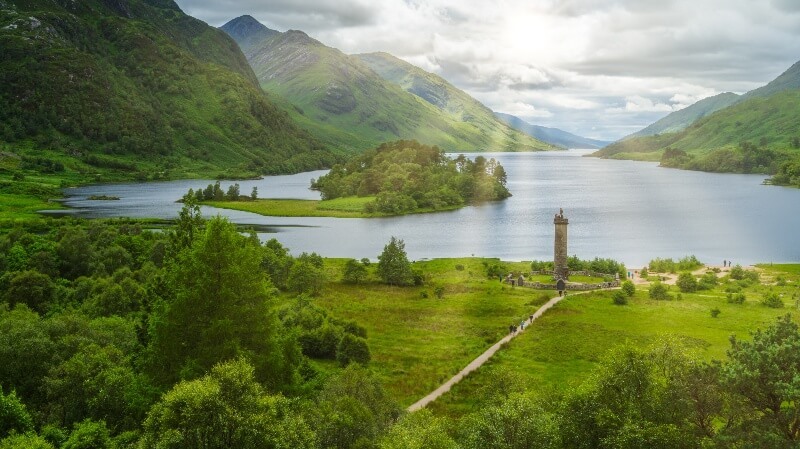 Head to one of Scotland’s national parks to enjoy picturesque walks among mountains, forests, rivers and lochs. Spring is of course a time of new life, with lambs being born, chicks are hatching and other animals are coming out of their winter hibernation. Head to one of Scotland’s National Nature Reserve where vast wildlife parks and forest trails, teeming with wild creatures, can be explored. During the Spring you will find an array of farmer’s markets spread throughout the country. These feature a wide array of fresh food and drink products for you to sample. The early season warmth and rainfall provides the perfect conditions for delicious vegetables to thrive. From the sea you can enjoy lobster, cockles, bass and trout, ensuring delicious dishes in restaurants throughout the country. With brighter mornings and longer days, Spring marks the start of the munro bagging season. With less challenging conditions as the season progresses the Munro’s see more and more footfall. We’d recommend waiting until the worst of the snow has melted before taking on a munro unless you’re experienced. If you know anyone that has visited rural Scotland during summer then they may have mentioned the pest that is the midge. These pesky little creatures appear during the warmer months, becoming a slight nuisance. Fortunately, if you visit Scotland during the Spring they will be nowhere to be seen. If you were considering a summer visit, don’t let the midge put you off though, being prepared with insect repellant should be enough to ensure they stay away from you. At the latter end of Spring as the country begins to warm and the weather improves you can enjoy the first of the Highland Games in early to mid May. Among the most popular events in the country for visitors and Scots alike the Highland Games are a great family day out that can be found across the country. The calmer seas of the Spring and Summer are the ideal time to spot these wonderful creatures off Scotland’s coast. 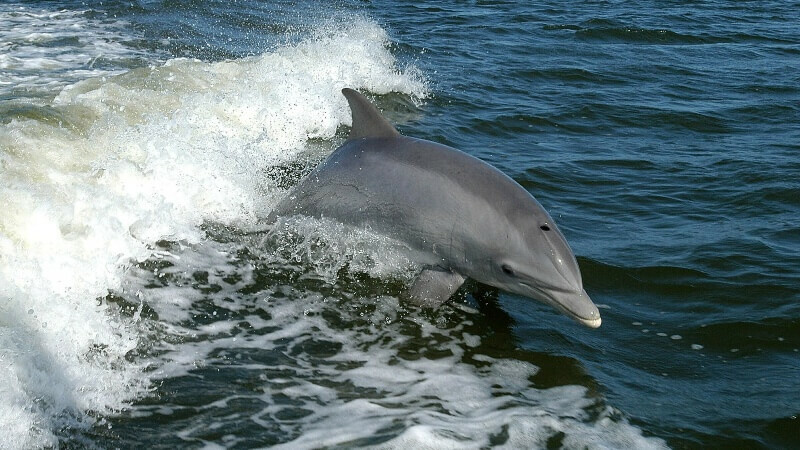 The Moray Firth is one of the best locations in Scotland to spot Bottlenose Dolphins, the beach next to the lighthouse at Chanonry Point is a particularly good vantage point. 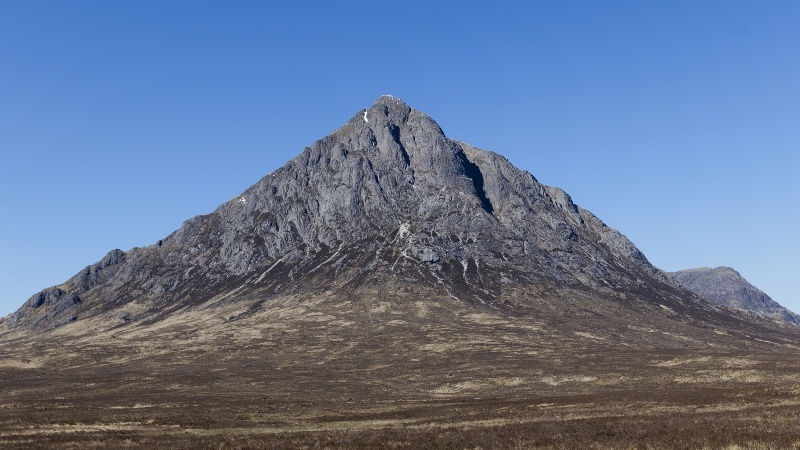 There are a number of other great spots across the country, including various points around Aberdeen, on the west coast around Mull, Canna and Skye. On the east coast you can spot them in the Firth of Forth estuary. May is dedicated to Scotland’s national drink, and there’s so many reasons the ‘water of life’ should be celebrated. During the course of the month there will be plenty of opportunity to visit a distillery or whisky themed event or festival, and of course sample a dram or two for yourself. Straddling the end of Winter and start of Spring the Six Nations Championship features Scotland, Italy, France, Wales, Ireland, and England. Each year Scotland will have 2 or 3 of their 5 games played at Murrayfield Stadium in Edinburgh in what is always a spectacular event and a fantastic day out for all the family. A modern incarnation of an ancient fertility festival that includes music and theatre in an outdoor setting on Calton Hill, Edinburgh. You’ll get up close and personal with colourful characters on the hill that has no central point, but instead has a range of features spread around. The main procession centres around the May Queen and bringing to life the hill and various characters to mirror the earth awakening from Winter to Spring. If you’re interested in visiting Scotland during Spring then there’s no better way to do so than to combine travel and accommodation in a luxury motorhome hire. Take in everything the country has to offer in Spring without having to worry about where you’ll rest each evening. Visit our motorhomes for hire page to choose your ideal motorhome, or contact us to discuss your motorhome holiday plans.